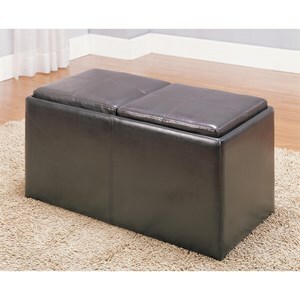 There's more than meets the eye with this casual style ottoman. Not only does it feature four reversible trays for keeping drinks on hand, but it also contains four smaller stools within. 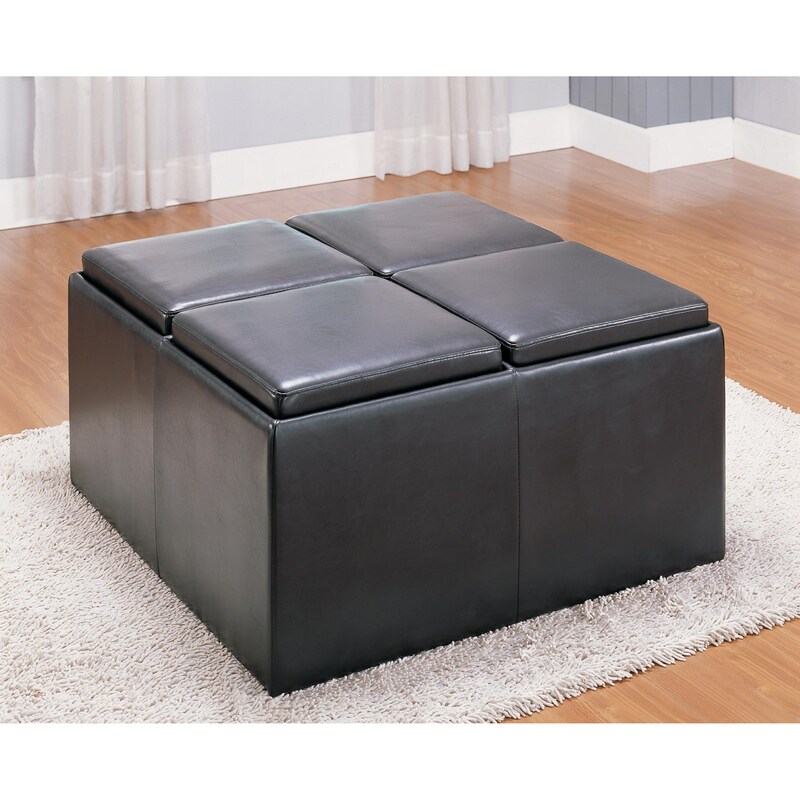 The Ottomans Casual Ottoman with Reversible Trays and Hidden Stools by Homelegance at Value City Furniture in the New Jersey, NJ, Staten Island, Hoboken area. Product availability may vary. Contact us for the most current availability on this product.